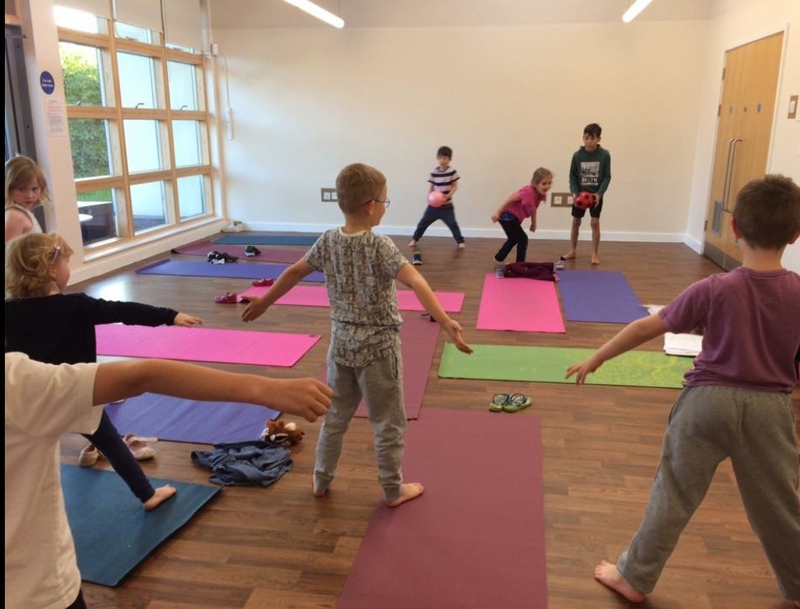 Following a parent survey we carried out in the summer, this term has seen us start a new yoga class on a Tuesday for children and teens aged between 8 and 13 years. It has been popular with already 10 members attending and we have enjoyed learning some challenging poses and sequences. Spaces are still available for this class so send us an email if you would like to book on. We were thrilled to reach over 500 followers on one of our social media channels in October. 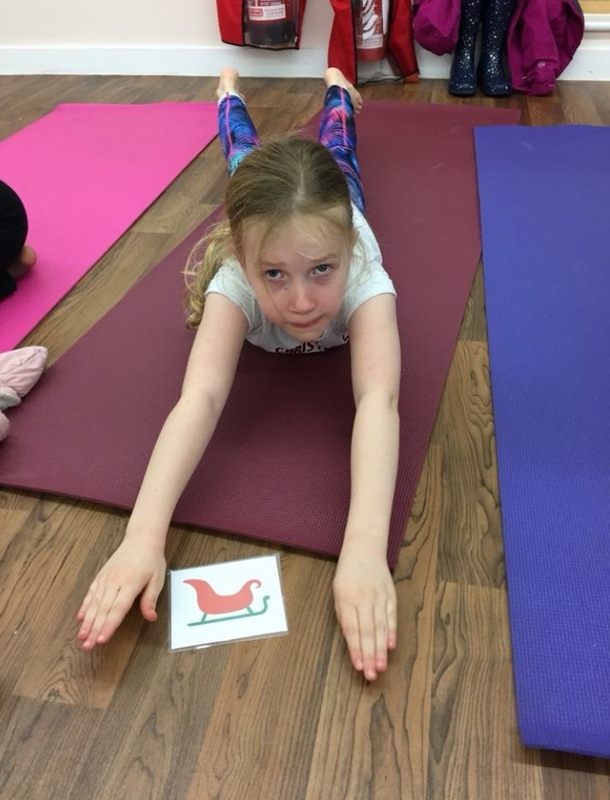 Our aim is to reach out and help as many children as possible to learn yoga and mindfulness tools to support their physical and emotional well-being. And Max the worry monster has been visiting all of our classes. The children discuss or write down anything that is worrying them and we talk about the worries and possible solutions as a group. Then we feed them into Max, zip him up and he eats them up so that we no longer need to worry about those issues! And our solo massage where we learned to massage our own hands and feet has been a big hit too! Step 1: Write down something you are grateful for on your mini yoga mat. Step 2: Decorate the other side of the mat. Step 3: Roll up the mat and fasten with sellotape. Step 4: Wrap a pipe cleaner around either end of the mat and hang on your Christmas tree. 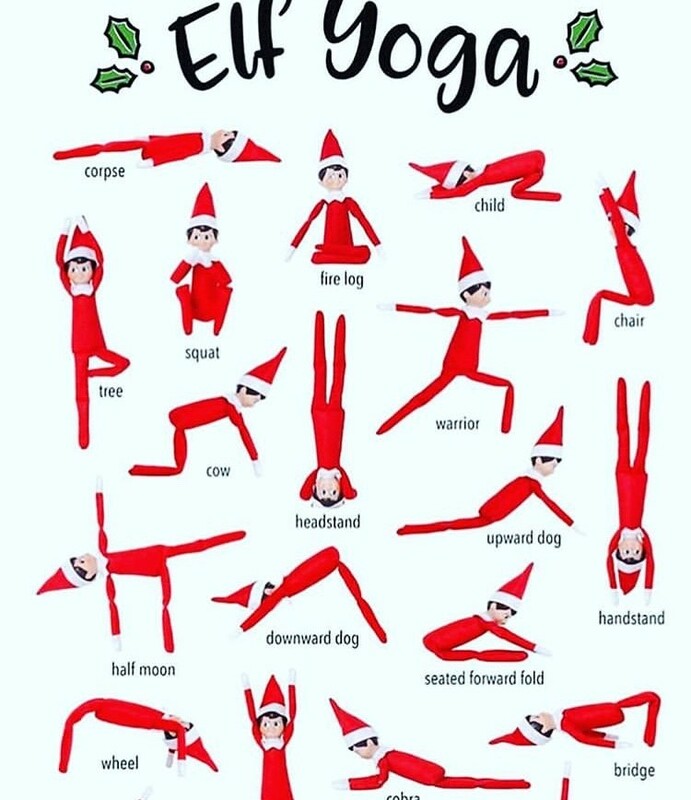 Not only did these prove such a big hit in our classes but a yoga company based in Chicago even decided to make them too…! And on those really hot days we take a break with an ice lolly! So many new members have joined that we are now oversubscribed for our Tuesday class and have a waiting list! But don't worry, we are looking at running an extra class on a Tuesday afternoon! 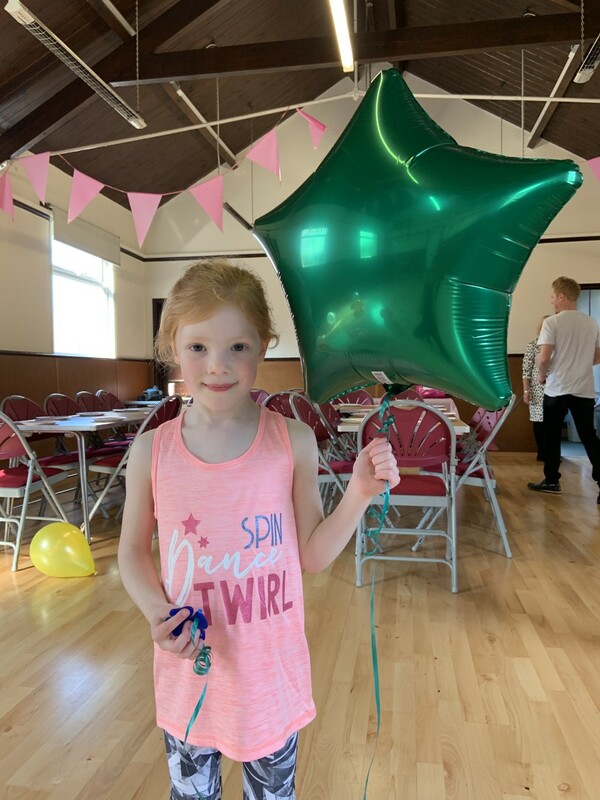 This term we ran another yoga party, this time for Keira who turned 7! 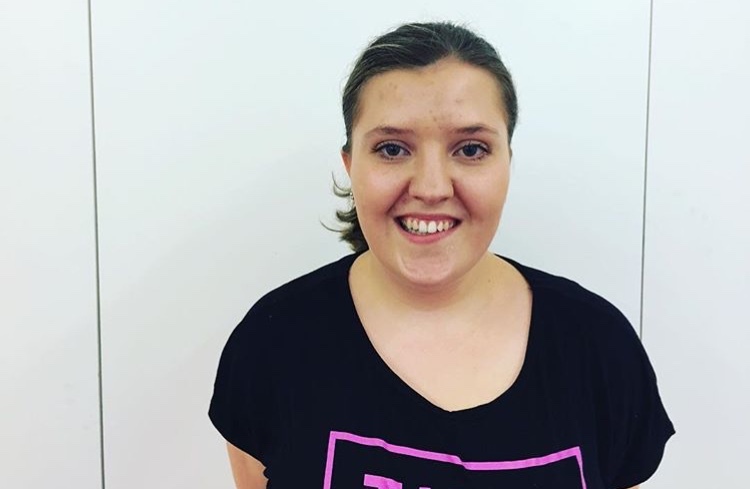 We have been working with a community group funded by charity grants called Time 4 Autism which supports children with autism and their parents. It is a pleasure working at Glastonbury Thorn every Friday afternoon and we are so pleased that they have been awarded with the 'Outstandingly Happy School' award, the first infant school in the country and first and only school in the local authority to achieve this!! 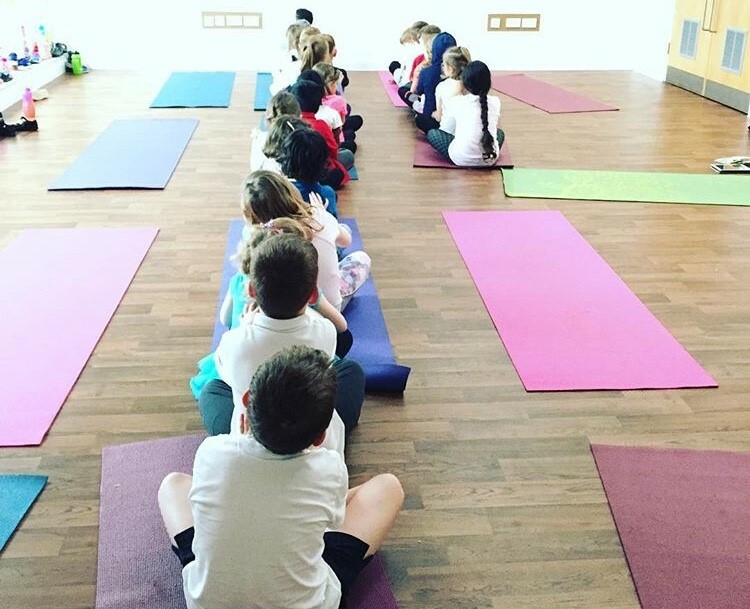 In June we were thrilled to be asked to run the children's yoga session in Campbell Park for the International Day of Yoga. We had some of our current yogis come along and lots of new faces too which was lovely to see! We learned yoga moves, played games and did some relaxations. The parachute was a big hit!! We have been busy this term running some more fantastic mindfulness, well being and yoga sessions for corporate teams. One of these was Clarity, a local brand strategy and marketing communications agency. What a great, enthusiastic team to work with! And what fantastic feedback we had from team Clarity. We will now be running yoga sessions for them every month. Clarity is not the only new team we have been working with this term. We have also started a new yoga session for the teachers of Giffard Park and Willen Primary School. 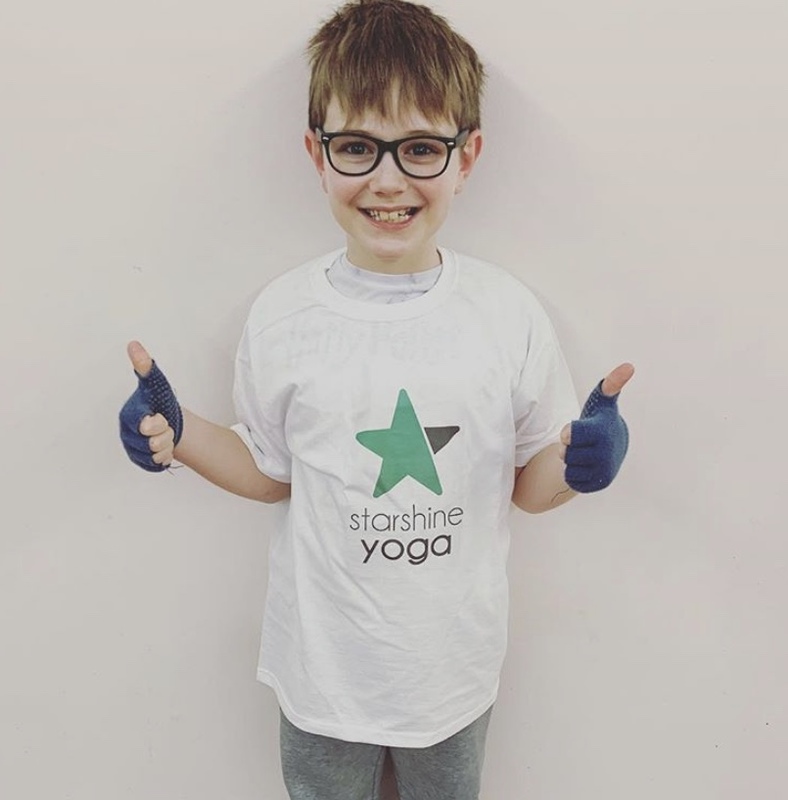 We would like to congratulate Max, who has been coming to our yoga sessions for 2 years and now has his celabratory Starshine Yoga t shirt. What an experienced yogi he is and a brilliant role model for others, well done Max! Football may not be coming home but we were pleased to see the England football team recovering after their world cup matches with yoga sessions! We know how good yoga is for strengthening, toning, increasing flexibility and helping to prevent or recover from injury. Wow, we are already well into the new year and what a fabulous few months we have had! 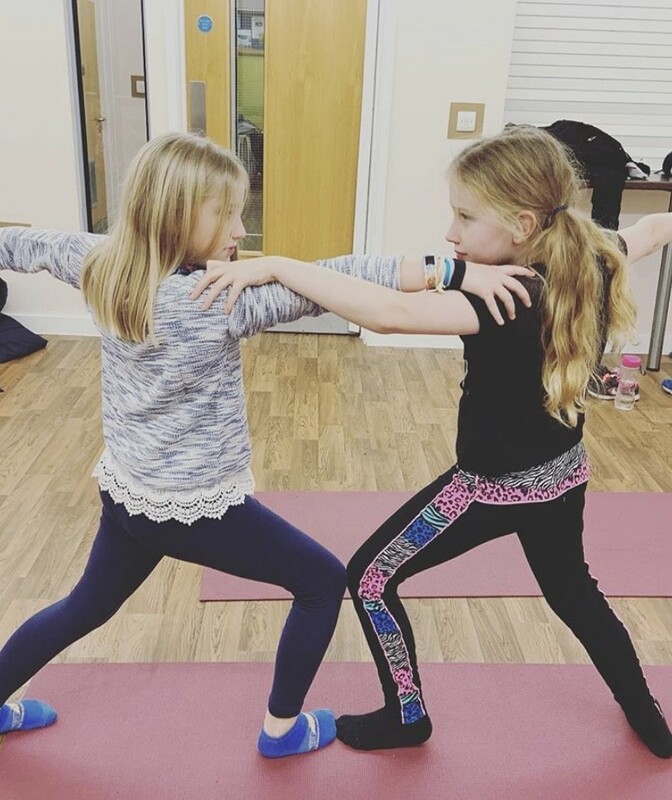 We have welcomed yet another set of siblings, Elisa and Magnus, to yoga this term. You wouldn't think they were some of our newest recruits, well done both! It seems that it's not only children that are keen to join in our classes, but pandas too!!!! 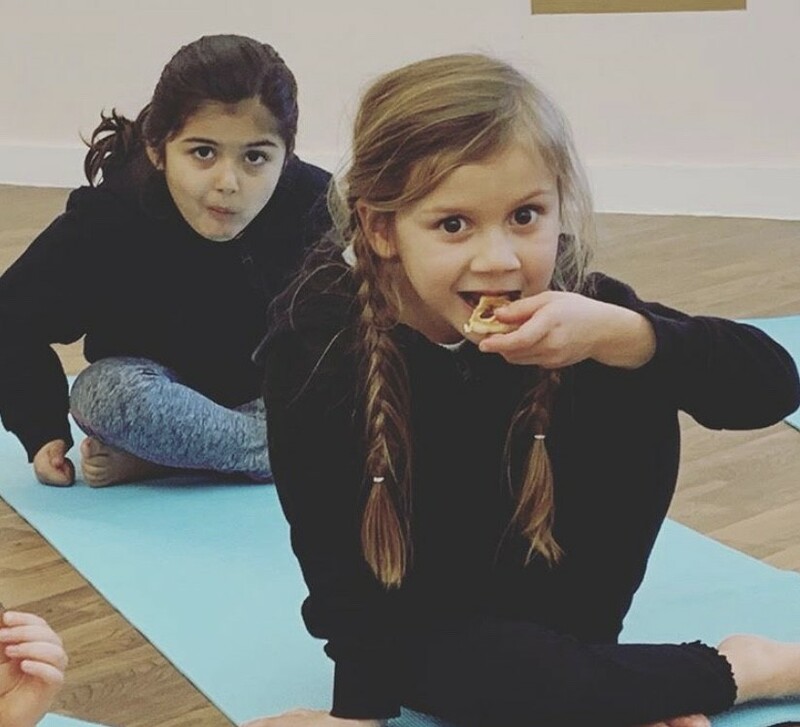 This is always one of our favourite times of the year at Starshine Yoga, with so many things to celebrate from Halloween, to Bonfire night and Diwali and of course, Christmas! Here is our 'Ping Pong Belly Breath' where we try to breathe deeply without the ping pong ball rolling off our tummy! We have also begun 'Back To Back' breathing in pairs where we are trying to feel each other's breath through our backs. We have been trying out some new relaxation sequences too at the end of our classes. One of the firm favourites has been our whole body relaxation using scarves, although they do tickle a little...! The children really enjoy working together and are great at working in teams. One of their favourite team games is 'Rock, Paper Scissors' where we use 3 poses; Dragon, Flamingo and Tiger. Tiger beats Flamingo, Flamingo beats Dragon and Dragon beats Tiger. We have to decide as a team which of the 3 poses to choose, then Melissa counts down 3, 2, 1, reveal...when we reveal our pose to the other team we see which group has won the round. Lots of our games require the children to be creative. In 'Alphabet Hoops' they have to run to a hoop and create a pose beginning with the letter in the hoop. In this photo you can see an S in the hoop, so James was in Spider pose, Max was in Shark pose and Aadiya was in Slide pose! The students always enjoy partner games and 'Mirrors' has been a new one this term. When Melissa calls "mirrors" we must make the same pose as our partner trying to move our body in exactly the same way so that it looks like we are looking in a mirror at our reflection. 'Butterfly Skittles' is probably the favourite game from the term. The children learnt a new pose; Butterfly, and they sit in this pose trying to bend and stretch to dodge a ball as it is rolled towards them! The children have been really challenging themselves this term with their impressive poses. Below you can see them doing Flag (also known as Side Plank), Wheel (also known as Bridge), Dragonfly and Pigeon. They loved doing Pigeon pose because lots of them say their parents do Pigeon in their own yoga classes! 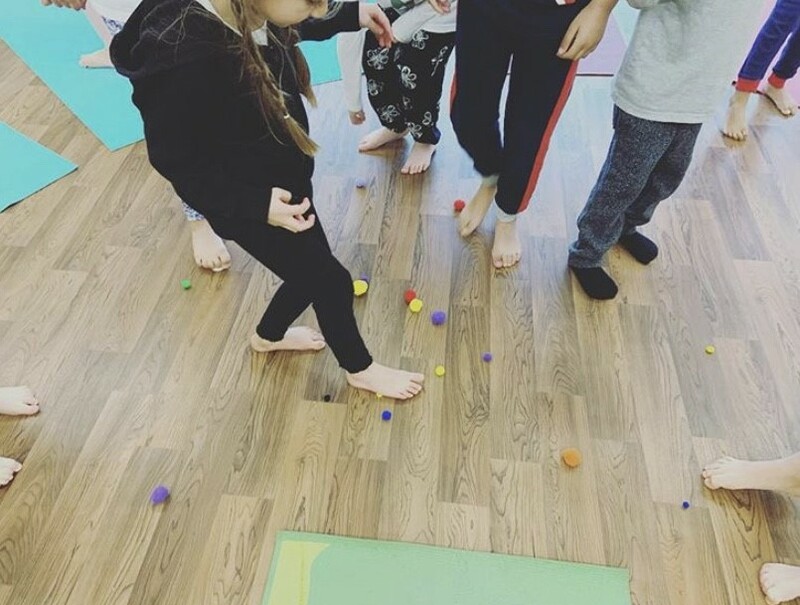 We have been continuing to practise mindfulness each week and one of the most rewarding mindfulness activities we did this term was 'Petals Of Positivity'. The children were each given the sheet below with 'I am' written in the middle. In each of the petals they were encouraged to write positive words. It was really heart warming to see what the children each wrote and for them to be reminded of how wonderful they are, something they can refer to if they are feeling down or lacking in some self - esteem. Perhaps we adults need to complete this activity?! We have continued to really enjoy our work in a number of primary schools.This has been our first term working with Glastonbury Thorn Infant school. 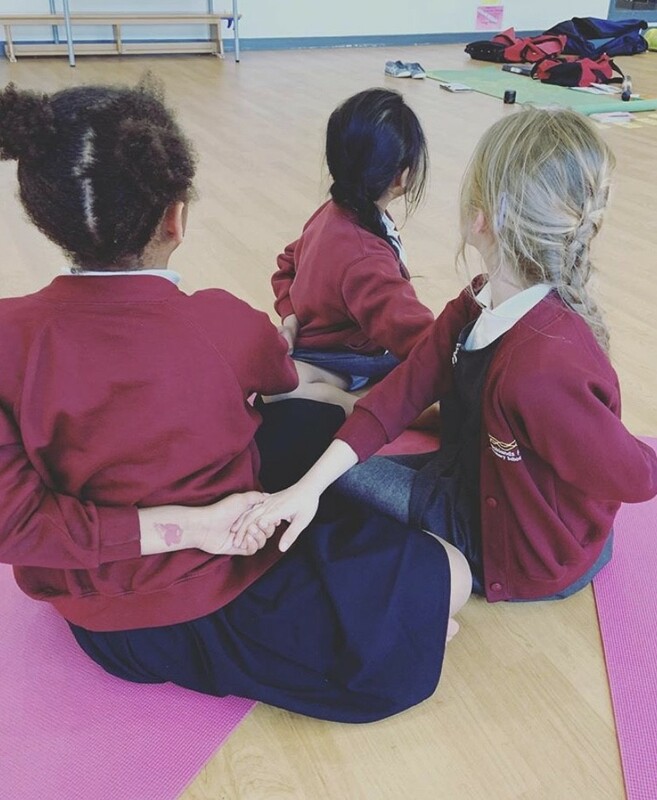 We have spent each Friday afternoon working with Year 2 who were fantastic at partner yoga. Here you can see the children doing Double Boat and Twisted Seated Pretzel which is a tricky one! At Tickford Park Primary School the children were fantastic at describing what pose to do to their partner who was blindfolded! 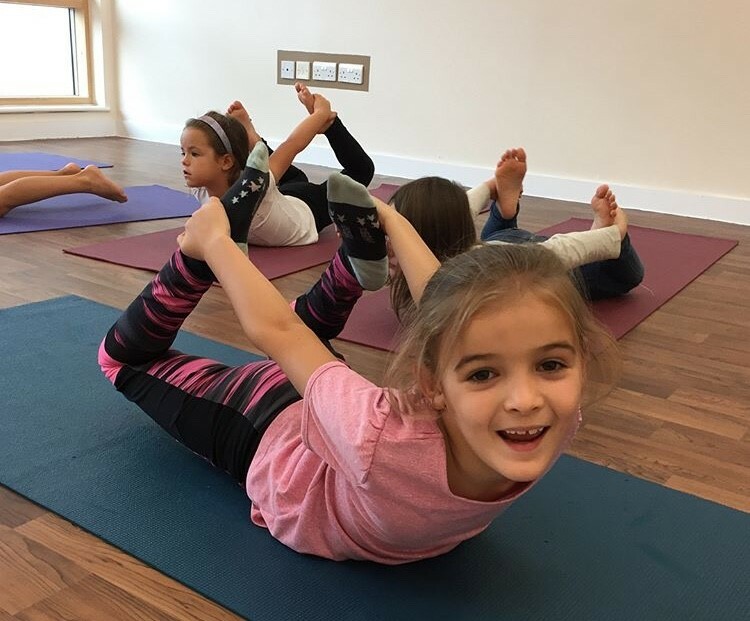 At Loughton Manor First School Year 1 children have been practising yoga for the first time. 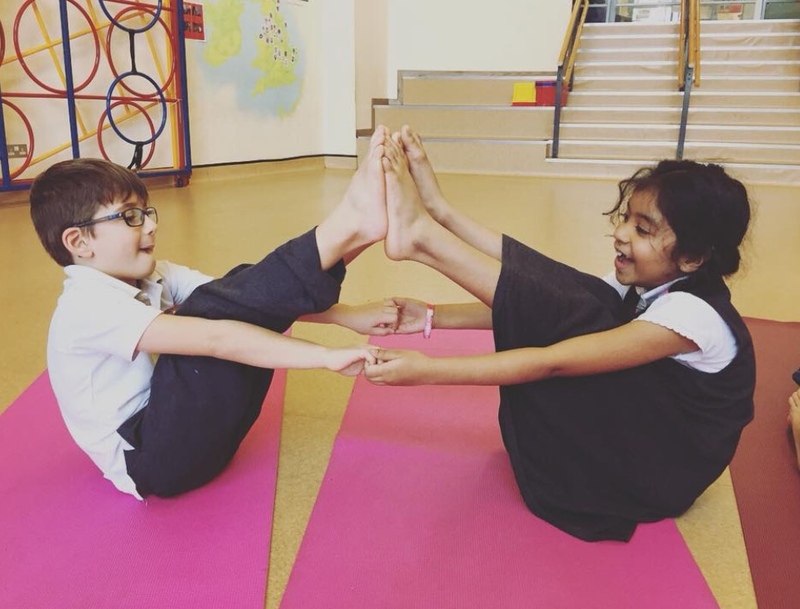 One of their favourite games has definitely been 'Umbrella Game' where the magical yoga umbrella picks a pupil to show a yoga pose for the rest of the class to copy. 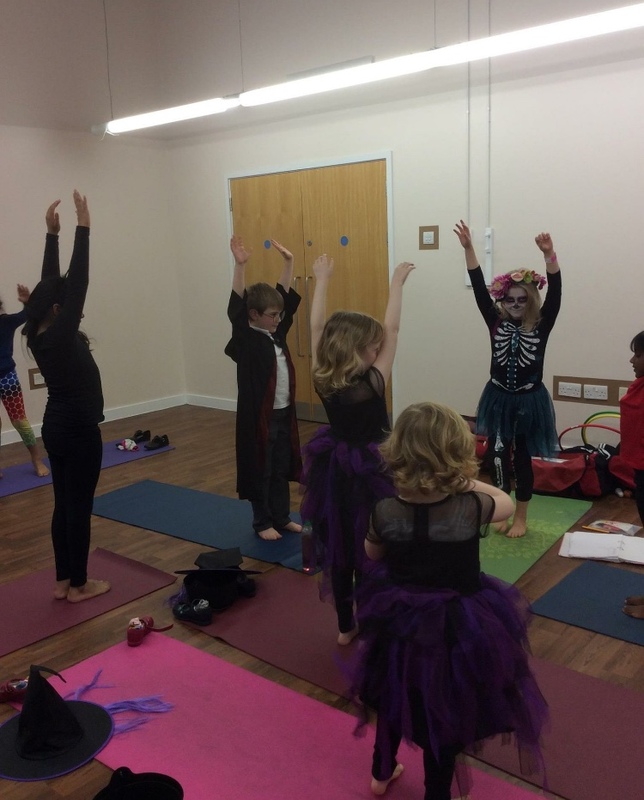 We had a great time dressing up for Halloween and even made our own Starshine Yoga pumpkin! We finished the term making Christmas tree decorations. The children thought of a word personal to them to describe yoga and then decorated the star. We hope this will bring a touch of calm to the children's houses over the busy Christmas period. Happy Christmas and enjoy a festive mince pie like the one we will be leaving out for Father Christmas!